Take that you thieving Brits! Yeah.....it's locked up a bit more securely. Sure the left Pannier rack is now bent and the case is scratched along with a few other bits, but overall the bike is riding fine. 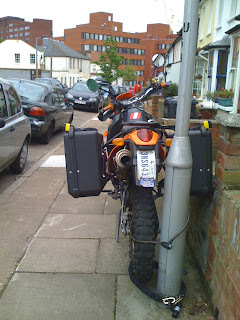 I took Monday night's happenings as a sign that I can't be quite as laid back about my bike's security. Locking it to itself will not be enough it seems. Human selfishness and lack of moral code is insured against by a simple piece of technology. Punks. So today I'm doing a bit of procrastinating....and trying to get myself back on the road. I'm not feeling like a very successful traveler today. Even though I'm out here and I'm taking it all in, I haven't felt the open road lay in front of me in over a week and I need to get back out there. People trying to steal my bike doesn't help either....made my entire trip feel pretty vulnerable to attack. I'm planning to leave tomorrow if I can get a few things in order. Wish me luck....it could be a while before another update. Yeah....don't adjust your sets. I'm awake and it's 4am my time. Some assholes just tried to steal my bike! I was up late working on some writing and took out my contacts, closed the computer and closed my eyes. Within 5 seconds I heard a noise outside. I glanced out the front window and there were 3 fuzzy white figures around my bike trying to drag it off. Instead of having the presence of mind to put my contact back in before reacting (so that I might get a good look at them or come outside with a bat to kill them), I banged on the window. They dropped the bike and scattered like little boys. I finally got the window open and yelled "Assholes". After I yelled it I realized I mainly yelled because they'd dropped my damn bike. I don't blame them for wanting it.....because it's cool as hell, but DAMN how stupid could you be? It has a huge obvious cable lock on the back wheel and the handlebars are locked to one side with the key. Did they really think they'd carry off 400 lbs. of motorcycle with 3 guys for more than a few feet? In the RAIN? Dumbasses. Surely they cased it before they came to get it at 3 am on a Monday night in the rain? Did they decide to ignore the lock? They didn't get 4 feet away before they were dead in the water. Anyway....I'm up and wired and I'm pissed. I slowly got dressed, picked it up out of the street and put it on the sidewalk. It's now locked to a light pole, but I'm still worried that they'll return with proper tools to get rid of the lock. I'm going to try to pass out now and if it's still there tomorrow then I'll figure out a more fitting way to secure it. I kind 0f doubt those guys will return though....at least I hope so. That would likely take much bigger guts than they seemed to have when they scattered so quickly with just the tap on a window. Maybe this is a sign that it's time for me to get out of London finally!?!? Oh yeah....and I'll give you a heavy English pound if you know the movie the pic is from (without using the internet). 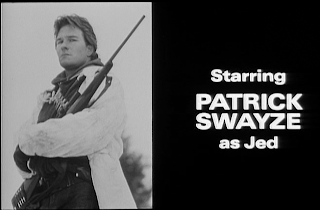 I'm totally gonna go Swayze on their asses next time! Well....I'm still in England. I have found almost too many connections and new friends here to hang out with and I've been hesitant to move on. Since my stay in the Hostel on the 12th and 13th I have bummed around from friend to friend and somehow avoided hotels and the like. I realized today that I've only spent about $100 on lodging since I left home. I also realized that it's been over a month since I rolled out of Austin. Man time flies.....it really feels like I just left. 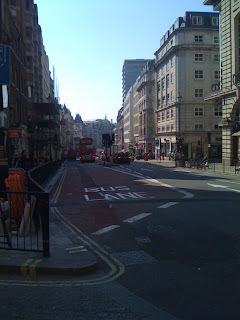 In London I wandered about and realized that my travel style is the lazy style. I like wandering with only the occasional glance at my guidebook to get me to a neighborhood that sounds interesting. I've continued my wandering all over southern England. 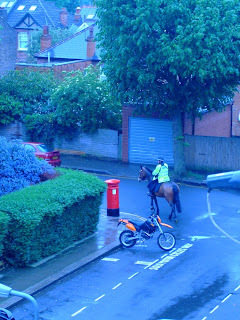 When last I blogged I was at Helen's flat in North London. That day I rolled out to meet up with Sam Lovegrove in Netley Marsh. Sam is an old friend of Miles, a friend of mine in Austin. Sam restores and collects vintage bikes and cars out near Lands End here in England, but was trading motorbike parts at Netley Marsh for the weekend. He invited me to hang out with him and friends and take a look at how the junk collectors over here do it, so I took the opportunity to get out into the country for a bit. I also posted pics of the Netley Motojumble and of the nearby Beaulieu "Autojumble" that had amazing things to see. Thanks SO much to Sam for making it a damn great weekend. I intend to head out to see him again during this trip at his place. He's invited me to come out for a proper vintage motorbike ride through the English countryside. How could I turn that down? I went on to Southampton after Camberley to visit my new friend Frankie. I met Frankie in NYC's Jewish Museum, of all places, after she and I were kicked out abruptly at closing time. She was an intern at the MOMA and is now back in the UK searching for a job in London again. Frankie and her parents were amazingly welcoming and nice enough to let me crash in their guest room. I was so thankful to have them looking after me with home cooked meals and more than a few Britishisms that I'd never encountered. I tried a proper British Sunday roast, Cornish Pasties, Baked beans on toast (breakfast), Scotch Eggs, Tea, , Fish and Chips, Tea, INSTANT coffee, Tea and Scottish Salmon, Water Crest, ....oh and did I mention GREAT Tea? Her father was also kind enough to teach me a few of my American English wobbles. I had no idea I was so far off the mark. He did seem pleased when I told him that I occasionally revert back to my Canadian spelling of colour. Frankie and I headed off to Portsmouth on the bike one day and DAMN it was COLD! She says I'm a wimp....I think she's just lucky she didn't have to ride up front where the cold wind just blows right through me. We also found time to ride up to Winchester to the Cathedral there. It amounted to the coolest piece of Architecture that I've gotten a chance to catch here. What an amazing place....and it finally felt truly British. We even sat for a choir session and service. Yes....I went to church and loved it. The sound of the Winchester choir in a thousand year old cathedral easily brought goosebumps.....totally cool. From Frankie's parent's place in Southampton, I rode to Newbury (where I am right now) to stay at another friend's place from Austin. Courtney "Sabre" Hubbard lives here now on transfer with her job and I caught word and came to visit her.....only she's in London today! :) I decided to stay here today and catch up on some work/online business and just relax. It's turned into a day of chillaxin and laundry....along with eating everything I could find in Courtney's house and some. FUN. She's back tonight and in the morning I'm getting up to make breakfast tacos with stuff I found at the local grocery shop. Tomorrow I intend to head to London and see a bit more of the town and stay with my friends Jay and Cathy that I met at Hannah's wedding in Austin. I'm thinking of finishing up a few last pieces of business here and heading to France next week. From there I think Spain beckons with warm weather and CHEAP things to do. The high price of everything here is killing me! I'm told France and beyond is a veritable bargain in comparison. On a personal note, I'm having a rougher few days. I'm feeling more guilty for being on holiday and more tempted by opportunities that present themselves job wise. I truly believe that finding work might be as easy as filing work permit paperwork and job-hunting. That makes me feel lazy....and tempted at the same time. Paradoxically I feel a bit homesick. I miss my old friends and my old haunts. I'd kill for a coffee at Jo's today and a movie with Tony, Ulf and peeps at the Alamo tonight. I feel like opportunities abound most everywhere I go......and yet it's my selfish concern of opportunity cost that has me troubled. It's like I'm in the best position of my life that has suddenly turned to the whole "be careful what you wish for" scenario. I'm here...I'm getting what I wanted and I suddenly want to sit in my manroom and watch movies without interruption or the real world interfering and forcing me to face the fact that I might not be living up to some dream or potential I have. ....yeah...blah. This isn't fun to read, so why babble on about it? I'll leave it light. I'm enjoying England, my new and old friends and I'm moving on to France regardless. From there I hope to find warm weather and some serious camping and fun. I'll try to take better pics soon. Thanks for reading my all too infrequent posts....more to come. I'd say that London has been kind to me, but not my pocketbook. I've spent more than I budgeted for despite what everyone told me about it being so expensive here. I really need to properly update this, but I just lack the time and motivation to spend an hour writing about all that has happened......all the minor details of 'adventure'.....however you define that. bottom line: I got my motorcycle out of customs and spent almost $400 to do so. It took seven hours of walking around Heathrow airport and taking bus after bus to the proper shipping building. At the end of the day it seemed quite disorganized and random as to what they needed from me to give me my bike. I took off the straps, turned the key (apparently they forgot to unhook the battery) and started it right up. A short ride back to the airport terminal 4, $85 dollars paid to get my bags out of storage and 30 minutes spent in the parking lot trying to repack my bike properly. Blah....it was a long day, but a successful one as I rode down the road thinking (stay on the left side, stay on the left side). I will say one thing for sure....the GPS is the most valuable piece of equipment I have. It made riding around here almost easy. I rode to Helen's house and it was fantastic. She lives in a big flat in north London and she was a fantastic host. Just to be able to relax.....use her shower and sleep in a quiet room was amazing! She asked if I wanted a cup of tea.....HELL YEAH!....best tea I've ever had. I hung out here for the entire day yesterday just relaxing and enjoying quiet time and a BATH! I then went out to East London to see Octopus Project play on their first ever European tour! (A local Austin band favorite of mine) Helen is friends with Yvonne and Josh from the band (as are several of my friends back home) and we had a great time talking with them before and after the show. They played an excellent set and figured out that I was the only guy from Texas other than the band at the show. After Helen took me for a proper English Curry shop and the long ever-expected tube ride/walk home. Today I've decided to go to an Autojumble near Shouthampton about 2 hours south of here. London is great and I WILL return here, but I'm ready to move on before the cloudy weather turns to crappy rainy weather. I hope to update this more properly later, but perhaps more stories will get in the way of describing the fun/trials I've had since my last proper update. Regardless....I'm healthy and well and looking forward to more time on the bike in England. Updates could take a while as I plan on camping the next few days. Also.....you'll notice a new photo link. Flickr filled up quickly past my free monthly limit, so I've added a photobucket account with the new pics I've taken. I'll try to add better comments to it later. Thanks to all for reading....until next time...cheers! Well...the financial woes are beginning. I'm in a hostel in London still and plan to stay with Hannah and Linda's (the brit twins in Austin for those who know) sister Helen here in town tonight. That's the good news....free lodging tonight. My moto is in London at the airport, but I'm still waiting on my title and paperwork that was supposed to be sent to me here last week. Four phone calls later I'm handed off to some outside company that says I will need to spend over $400 more dollars to temporarily import this bike into the country and over $1000 if I intend to keep it here permanently. Of course the research I did and the shipping company I used didn't show this....I was told it would be less than half that before. Regardless.....I'm screwed....or at least it appears that way. They are also charging me $55 a day to store the bike until customs paperwork is handled AND my bags are costing me $20 a day to store. SCREWED! This is already making me feel that I made a mistake with bringing the bike....but that was a BIG part of the point of this trip....to have the freedom to go and do at my pace. So....I'm waiting to hear from the shipping company in NY and should know something by later this afternoon. Wish me luck.....update to follow. Well....I'm here. I'm tired...but I'm here. I got up this morning (Sunday) late and immediately started packing. I was honestly a bit sad about leaving the Capobiancos, but I loaded up with Michelle and headed out. We decided to drive to Manhattan and hang out at the MOMA for the day and then she'd drop me off at the airport. It ended up being one of the highlights of my trip so far....not because of the museum as much, but because Michelle and I had a freakin' blast. We went into the Modern restaurant below the museum...got loaded on ONE Cilantro Martini thingie (we were hungry)...ate some tiny expensive food and ran through the museum like madmen with only an hour to see the whole thing. The museum was amazing and I was overwhelmed in a short period, but we simply didn't have enough time. Ridiculous.....but still ridiculously FUN. Thanks Michelle.....we're totally doing that again....only I hope we can get extra loaded and stay extra long in the museum. The afternoon was priceless. 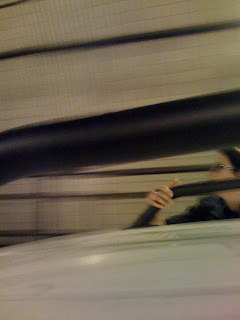 The blurry photo above shows Michelle riding on the outside of the car in the tunnel leaving Manhattan headed to the airport....needless to say the Martini still had a hold on our time. 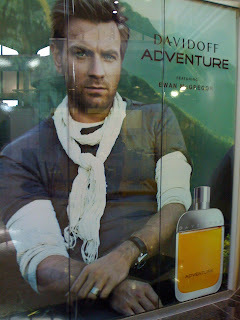 Upon my arrival in the airport I was almost instantly greeted by the Ewan McGregor photo. Again...priceless. I'm hoping that after my adventure on my moto that they name a fragrance after me.....maybe call it "Shifty"...or "TOGE" for TheOneGoodEye? From there my day went on.....and got LONG. I got on the plane with visions of sleep at 6:30, but like always I wasn't able to sleep on the plane. It was a nice flight though. I'd go so far as to say that it seemed short. I could've stayed longer to enjoy the pampering and place to relax. I got off the plane and waited through a few hours of customs lines, but somehow they let me IN! I can't believe that a bag FULL of motorcycle parts and cryptic tools made it through customs AND security without a hitch. They didn't even open my checked bags to rummage through them....surprising. I quickly found a place to hold my bags for about 20 bucks a DAY! My moto will not be here until Wednesday, so I had no choice....I couldn't run around London for two days with two fourty pound bags dragging behind me. Stefan and Kenneth could be right....I think I see a box filled with extras headed back to Austin in my future. 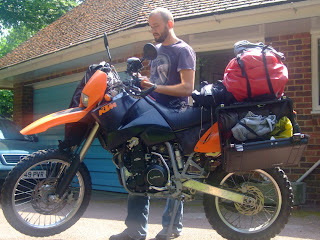 I don't have as much stuff as you might think, but without the moto/pack mule KTM, I'm anchored heavily. I took a change of clothes, a toothbrush, my laptop and my guidebook and left the rest at Heathrow airport. It should get interesting when I have to find my way back out there to pick up the bike AND all that gear. FUN! Anyway....I took the tube headed to London and didn't care where it was going. I got off at Piccadilly because that was the only stop that sounded familiar. Man....what a tourist trap. I mean....it's great and all because I'm in London, but I could've picked something a bit less American. I mean....within minutes of getting topside I saw a TGI Fridays, Planet Hollywood and two Starbucks. Damn....I thought I just flew over an ocean or two? So....ridiculously groggy, I've managed to eat a sandwich, have a cappuccino and get online at an internet dungeon....yeah....dungeon. I just booked a hostel for a few nights at 15 pounds a night and I'm hoping to go check-in in a few....shower...nap and get out for something fun. Ok....enough internet and dungeon. I'm back out...just wanted everyone to know I'm safe and sound.....well safe anyway. So...in a few hours I board British Airways flight 184 for London. Damn.....I'm finally leaving. I guess the trip to NYC now seems like it was a dress rehearsal. I had all the same gear....all the same fear and all the high expectations, but now it seems that I'm really taking a plunge. I'm leaving and I don't know when I'm coming back. People keep asking "where are you going? ".....I say "Europe"...."where in Europe? 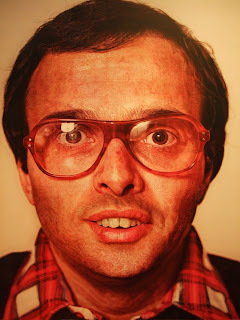 "....with a hint of sarcasm, with embarrassment, with boastfulness I say "as far as I can get!". Every time I say this I feel like I'm lying. Before I was worried that I might not make it to NYC....and then once I got here I felt like this might be as far as I'd go....and now I feel like I'm only gonna make it to London. Strange isn't it? I guess I feel like most of my life has been spent talking about where I'm going and very little of it has been spent actually GOING. I mean....I'd feel insulted or judged if one of my friends was overheard questioning whether I'd actually go through with this trip....and yet I know it's occurred and that I shouldn't feel insulted OR judged. Maybe that's just what I've presented and earned? I know that people that I love and respect have wondered if I'd go through with spending everything I've earned and been given on a whim...or seemingly a whim. Many likely don't know that I've wanted to do this since I was just a kid. I'm not sure if that helps or hurts my cause.....or if it matters at all. Hell.....now I'm not even sure why I'd bring this all up. Either way....I'm going. I leave tomorrow and if I can find a way to come up with more money, then this trip will continue. I'm WELL below my budgeted amount for the full 3 months, but I simply couldn't let that keep me at home......or take that 3 week trip to the Grand Canyon instead! ....not that it's not great...it's just not the same since it would really leave me in my comfort zone. I'll soon be a stranger in a strange land looking for work, fun and time to myself. grrrrr....maybe I'll just talk about the F*ck ups for a while to give some of you the giggles. -If going to the trouble of bringing your favorite heavy SLR camera, then don't forget the battery charger and battery! -USE LOC-TITE on every screw of a thumping single cylinder motorcycle.....stuff falls off! -Don't buy gas in a NJ slum just across the river from Manhattan.....and don't pump it yourself....they get PISSED! -Don't listen to everyone's worries. They all love to talk about how weak the American dollar is and how screwed you are when you travel to Europe. FUN. Ok....so maybe it's not that bad, but all those things sure seemed like a pain in the arse along the way. ...Tomorrow holds a lot for me I know. It's goodbye to my comfort zone and hello vagrancy. I don't even know where I'm sleeping tomorrow night. Prepared huh? Regardless....tomorrow I leave and the trip officially begins. Wish me luck....I hope to update this SOON! Thanks to everyone who cares enough to read! So.....I've been hiding. I mean, I haven't been hiding consciously, but I have been hiding. I've also had a significant amount of guilt build-up since I left Austin. It's gone past a nice long holiday away and turned into a long-term experience. I suddenly realized that it was only through the help of my friends, family and supporters (you know who you are) that I've been able to take off like this. I guess I've questioned whether or not I deserve this shot at all.....if I've earned this time to play and soak up so much. Things back home have been both perfect and perfectly flawed....and I can only hold myself responsible for the failures. All that being said and purged, moving on is really all I can do because going home to a ticker tape parade isn't an option just yet. So.....I'll continue onward. Now that the acknowledgment of my absence is out of the way let's get back to what I've been up to. After a first fun weekend with Michal and crew, I squatted in her old apartment in Greenwich Village for a few nights. Her old roommate Molly was nice enough to let me stay. It was a perfect location and I quickly started to feel like a real member of the town. The weather quickly turned to crap with rain and cold, but I was determined to spend my time OUT doing things. I braved the Subway system because my moto had proven to be a large pain. Simply parking it was a pain.....as I was constantly worried either about it being towed or stolen. It's my lifeline for the rest of the trip, so I found a safe spot on the NYU campus and parked it until it was time to put it on a plane. After jumping the wrong train a few times and walking in the wrong direction, I finally found my way to Museum row by Central Park. I instinctively walked right up to the Guggenheim first. It's always been a dream to see it and "feel" it in person. Of course.....I was TOTALLY disappointed! The entire exterior is under "reconstruction" and the interior was full of half of the population of NYC....or at least every tourist in town. I braved the crowd for a bit and then got the hell out of there. It was NUTS! Oh well....I'll catch FLW's work again soon I'm sure. The Guggenheim disappointment was followed by a trip the Jewish Museum and a cool Warhol exhibit that I'd only read about before covering 10 important Jews in history. 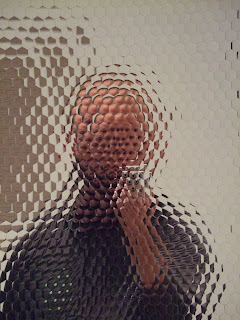 I think I enjoyed that most....but I've realized that I'm easy when it comes to comparing modern art to classic works. The modern stuff appeals to me like TV.....only better. While in the Jewish Museum I ended up getting abruptly kicked out at closing time with a fellow museum goer....Frankie. We were both viewing a video on the ever popular Holocaust and a security guard abruptly walked up and asked us to leave. (Trust me it was REALLY abrupt for a quiet museum) We laughed at each other's shared shock on the way down the stairs and it became quickly apparent that she was British and more specifically from London. I told her I was headed there in a few weeks and that coupled with the fact that we'd both just been tossed out on our asses made for enough common ground to try to hit other museums together. She also seemed significantly more qualified since she's been an intern at the MOMA for 3 months and works at the Tate in London. So.......I had an informed guide and we set out to see a bit more of the town in some really crappy weather. The next day I made the trip out to Sea Cliff where John and Michelle live to ship my bike and do a bit of work for them. Of course.....getting my bike ready for shipping took MUCH longer than I'd anticipated. Even doing the oil change took the better part of a day with the time it took JUST to get the proper oil and tools to get it sorted. I was forced to push it to Thursday and then to Friday before I was able to get the bike to the shipper on Long Island near JFK airport. But....I got it off and after spending about 500 more than I intended to spend, the bike was off to London. I'm scheduled to receive it in London on the 13th, so I pushed my flight back to the 11th to give me more time to work for J&M and see a bit more of the city in the meantime. My life lesson this week is profound to me, but perhaps not that profound to most. I knew this long ago, but I've recently forgotten it or ignored its significance. It has to do with friendships. I am lucky enough to have many friends.....and make new ones easily it seems, but I've realized that I've recently taken many of my close friendships for granted. I've been so emerged in this trip, in my general life woes and in attempting to push off from it all that I've lost sight of a few around me that truly matter. Just this past two weeks I spent a significant amount of time worrying about how a friend had wronged me and taken me for granted. I talked about it and complained about how I "don't deserve someone to blow me off like that"....but perhaps I did. I went to the trouble to see this friend and really got treated like I was a temporary fixture on the wall. Even with the glimpses I'd had of this person as someone who really cared and was sensitive to others underneath their layer of care-free.....I was proven wrong. Sometimes people really are as shallow as they seem and accepting this is WAY easier than trying to make them into something they are not. So.....many stories exist in the middle of this short (yes it seems short) update. I hope to get to tell my tales in person to many of you when I return. In the meantime.....which of you is going to meet me in Europe for a visit? ANYONE? Updates soon to follow......I added more pics to my flickr account so check them out.....I hope they get better as time goes on. It seems that my iPhone pics are the best just because it's so readily available.